Here at First Class Tile we are pleased to offer our customers a vast array of installation and remodeling services. We pride ourselves in our service versatility, and thus if there’s a professional project your looking to have done in your home or business, we are the experts to call. Welcome to Granite House Inc, where we provide a great selection of natural granite, marble, and speciality stones at affordable prices to Michigan residents in the Metro Detroit area. We offer a large selection of the most popular array of granites along with great craftsmanship from employees who have years of experience in the granite industry. We specialize in: Granite Kitchen Countertops Granite Bathroom / Vanity Countertops Granite Office Desks and Furniture Our Goal is to provide customers with quality granite and stone at exceptional prices while still maintaining unmatched customer service. Our representatives possess the knowledge and skills to transform your dream bathroom or kitchen into reality. We are here to assist you in all aspects of your project including, layout preparation, granite or marble selection, fixture integration, edge options, and more! Let us assist you with your granite kitchen countertop or speciality stone project today! Tremonti Cast Concrete And Design's goal is to unify furnishings and decorations to make an architectural expression, using concrete as our material of choice. GroutLikeNew is Southeast Michigan's premier provider of grout and caulk cleaning, repair and sealing services. We pride ourselves on the quality of our work and the excellence of our customer service. But what really makes us different from our competitors is that we only use epoxy-based, dual polymer sealers. It insures that our products will stand up to heavy usage and strong cleaners - something our competitors (who use only latex color sealers and traditional grout) can never say with confidence. Since 1986, Pyramid Ceramic Tile has been providing exceptional quality tile remodeling services at affordable prices. Whether you are looking for a complete bathroom remodel or are just looking to replace a dated shower, our complimentary design service provides an array of remodeling options. We invite you to explore our site to see examples of our work, hear from our satisfied customers or even schedule your own free consultation and quote for your next bathroom, kitchen, fireplace or other remodeling project. Fabricator and supplier of exterior limestone. 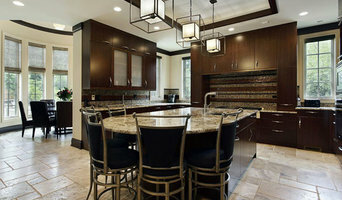 Fabricator and installer of granite, quartz and marble countertops. Dear Sir/Madam, As you look for your building and renovating needs, it’s important to surround yourself with partners that reflect your commitment to quality and customer service. At B Creative, our reputation is second to none. I would like to take this opportunity to introduce you to the many products and services. B Creative offers our business pertains to the workmanship of marble, granite, and stone; designed for interior and exterior construction and decoration. B Creative produces materials for counter tops, vanities, floors, walls, bathrooms, fireplaces as well as sculptures, columns, pedestals of various styles for tables, inlaid and mosaic design. We have a stocked warehouse with over 25 different colors. Our products are internationally known and of the highest quality and workmanship. Our state-of-the-art equipment ensures product integrity and flawless quality. Tile & Stone Works is dedicated to merging art with craft in the world of tile and hard surfaces. Our services include designer oriented showrooms with knowledgeable staff in product and design. We are a respected distributor of porcelain tile, natural stone, and COREtec rigid vinyl flooring. Our impressive selection of products includes domestic and imported ceramic, porcelain, glass, metal, decorative and stone tiles. We also offer a comprehensive selection of setting materials, maintenance supplies, and tools. In addition, Tile & Stone Works offers a wide variety of granite, quartz, and marble slabs. Our fabrication department utilizes the latest technology to design, manufacture, and install solid surface countertops for both residential and commercial projects. Tile & Stone Works is an EPA Lead-Safe Certified firm that holds memberships with the Home Builders Association and Rockheads Group USA. We have more than 30 years of commitment to providing high-quality products and excellence in customer service. That, combined with our superior workmanship, is what has earned us an A+ rating with the Better Business Bureau. 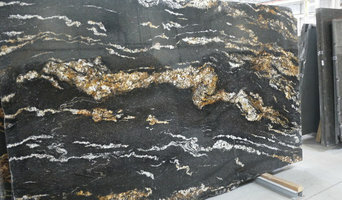 Please visit www.tilenstone.com for our daily hours and directions to our two showroom locations in Shelby Township, MI and Sterling Heights, MI. 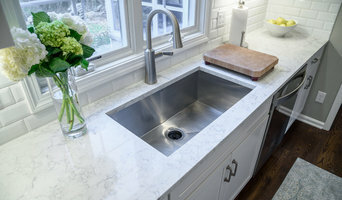 Aside from our local slab showroom, we are proud of our skill and art of fabricating and installing your quartz, granite, marble or quartzite countertops in your home. We pay close attention to all details as if it were our own. Our designers will walk you through our showroom and help you with your stone selection whether it is based on color, material or budget. We work with homeowners, builders, architects and designers and stand behind the quality of our stones and our work. Together, we have over 30 years of combined experience in the stone and fabrication industry and we pride ourselves on our superior customer service. We look forward to working with you on your next countertop project! Julian Glass is a pioneering manufacturer of glass counters, tables, tile, lighting and sculpture. Years of bottom-up research have enabled distinctive advancements in the art, from druzy and mineral counters to distinctive crystal lighting. We draw inspiration from the profound grace of the natural world to create works of sublime and lasting beauty for your home. 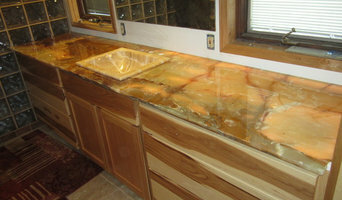 Fusion marble & Granite is a family owned and operated business. Our products are high end quality, our prices the best in town and we have a great customer service. An amazing selection of all types of tile, granite, marble, quartz, and more! We also install. Started in 1984, D&E Superior Tile began providing tile services to homeowners and builders in the Metro Detroit area. From kitchens and baths to basements and dog showers, we have done it all. For over 35 years we have proven to be the leading expert in title flooring and cement leveling. We are the go-to partner for large custom home builders, commercial construction projects, and local homeowners looking for the best. No matter the size of your project, at D& E Superior Tile, we treat you like family and will take care of your mudding needs every step of the way. Started in 1984, D&E Superior Tile began providing tile services to homeowner and builders in the Metro Detroit area. From kitchens and baths to basements and dog showers, we have done it all.